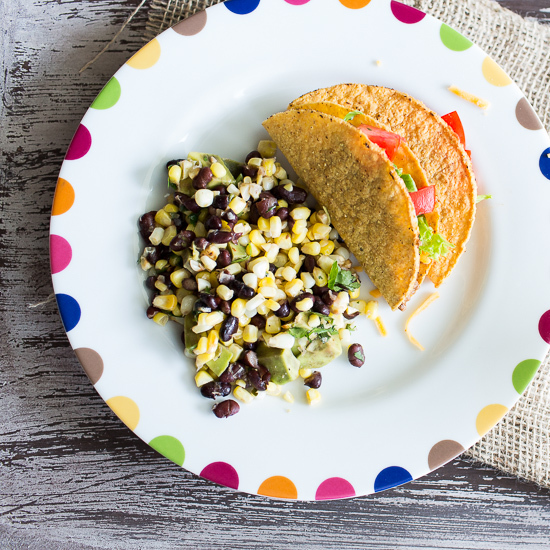 I love this combination of corn, black beans and avocado. Leftovers are perfect for lunch. Heat oil in a skillet over medium high heat. Add corn and saute until just starting to brown, about 3 minutes. During the last minute, toss in the serrano chile. Transfer the corn mixture to a bowl and add the beans, cilantro, lime juice and avocado. Toss gently to combine. Season with salt and pepper.